This is my fourteenth growth report on OliverKenyon.com. I use these reports to share my progress updates from both a business and a personal point of view. You can view my previous reports here. So I’m still waiting for things to calm down from July! If you read my July report, you will see how we had a lot going on including our house move, our start-up “Project P”, leaving Lovecars, and the merger of FixForums communities alongside the relaunch of AffiliateFix. Well, I’m happy to report things haven’t slowed down……. In fact, they’ve gotten even busier! We’ve also pushed full force ahead with the company changes and new plans to expand. We’re now in full design and development mode and have restructured everything, which I’ll go into now. As you read last month, I announced that we’re going to be merging the three forums into one and therefore working on a new and much improved version of AffiliateFix. FixForums will be renamed and we will then focus on expanding our reach in the affiliate and performance marketing sector by launching and acquiring companies within the space. affilinc is the NEW brand and company behind AffiliateFix and our future vision. As you can see above, we’ve already rebranded the logo and are now working with the previous owner to upgrade the whole platform alongside some new and exciting tools and additions. I’ll go into more details below. Okay, so that this doesn’t get confusing, let me explain what’s happening. FixForums is made up of AffiliateFix.com, EntrepreneurFix.com and WebsiteFix.com. These three forums will now all be merged over to AffiliateFix. We are now working on a new and improved version of AffiliateFix and completely updating the platform to introduce a new design, layout and overall features enhancements. 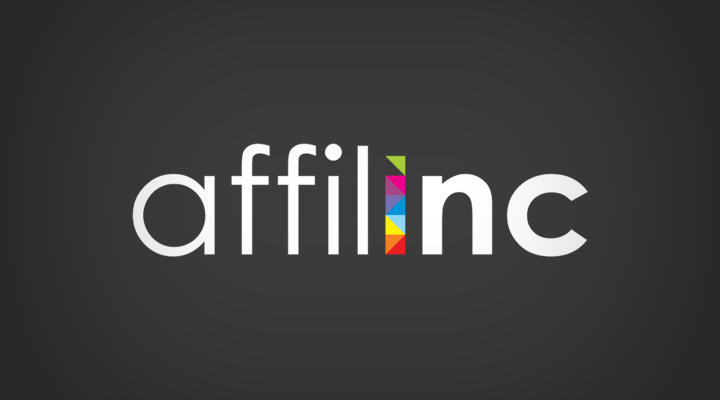 FixForums will now be known going forward as affilinc, the new umbrella company for all of our affiliate and performance marketing platforms. 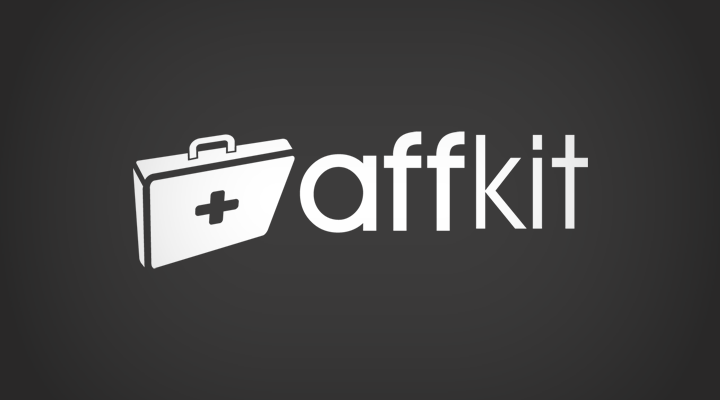 We’ve just acquired our first property, which is the established set of affiliate marketing tools: AffKit. Now AffKit, we will be enhancing, upgrading and rebranding the tool kit along with a long contingency plan and new pricing model. So over the next few months, we’ll be drip feeding you little previews of what’s going on at affilinc and we’ll also be announcing our next event, which is currently in the planning stages. If you have any feedback or suggestions regarding the NEW AffiliateFix relaunch, then please feel free to drop them in this thread here, or alternatively comment below. Also, if you have any suggestions or requests for new tools inside AffKit, then please list them now here. affilinc aside, it’s been a crazy past month for Landing Page Guys also. We’re now only weeks away from announcing the name and plans for our start-up “Project P”. 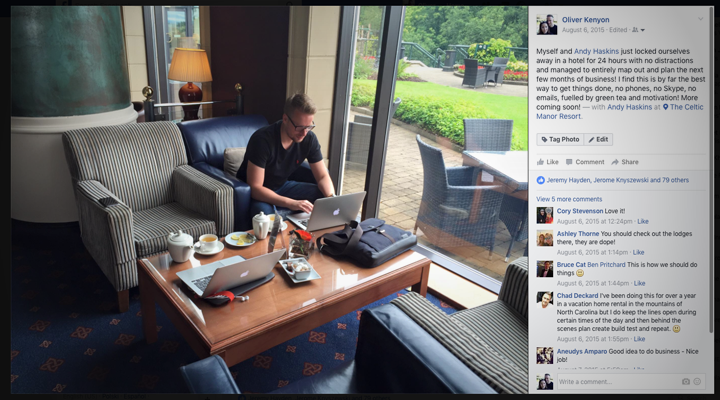 If you’ve been following my reports, it was actually a year ago this past week that Andy and I locked ourselves away for the night without any distractions at Celtic Manor and brainstormed out the project. I’m hoping that this time next month I’ll be able to reveal a little more to you. Trust me, it’s worth the wait. This start-up will change the lives of many of my readers. 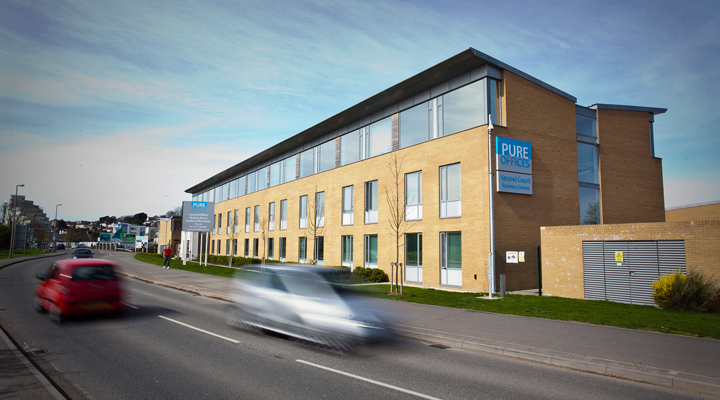 In other news, we’ve just placed a deposit on our new offices. Having moved on from the Lovecars office, we’re now super happy to be setting up our own office space in the nearby town. We’ve already been speaking with some recruitment companies about hiring a full in-house team and everything should be coming together this month. We move in on the 12th of September and I can’t wait to be in an office again with the team! In other news, we were invited to a “Young Guns” entrepreneurial event in Bristol by our solicitors Cook&Co. They hosted a great event that featured ex England and Bath rugby player Lee Mears talking about leadership and leading in a company, which was a very insightful and eye-opening session. 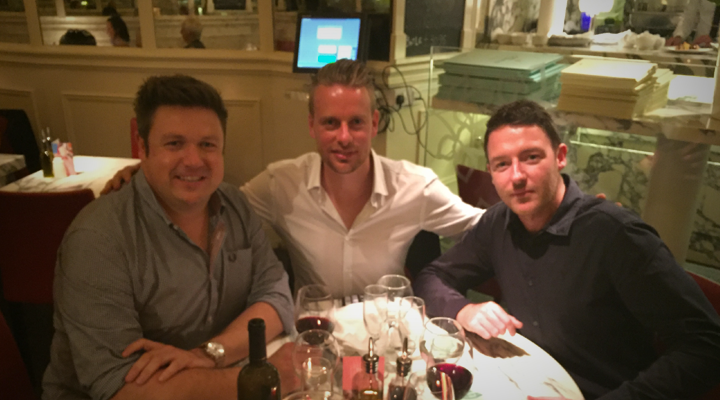 After the talk, we enjoyed a few drinks and meal with fellow industry friend Matthew Wood, who owns the infamous PerformanceIN company. 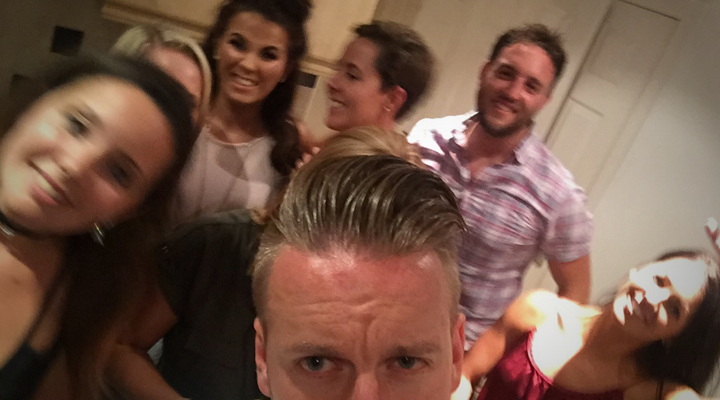 Matt has just come back on the scene in the performance industry having taken a few years out to work at VoucherCloud, and it’s a real breath of fresh air having him back as he’s already organised multiple meet-ups and events locally and in London. He’s a great guy, and it’s really inspiring to be around someone who has done so much for this industry. I hope to learn a lot and work closely with Matt and his team! Given all that happened above, is it okay that I failed with my 4 posts this previous month? The ONLY Tool You Need To Make Money With Affiliate Marketing, PERIOD. Most notably is my first ever product review being posted on the blog. It instantly became the most viewed post on my blog to date, so if it helped you and you want more of the same, please comment below. 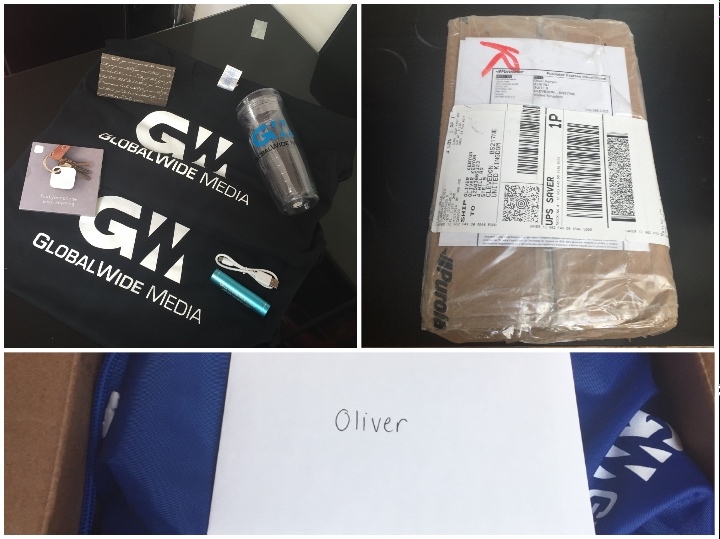 I also received a really nice gift box in August from the guys over at GlobalWide Media. It was to say “thank you” for including them on my blog post about the must-attend parties and events at Berlin AWE conference. They told me how a lot of their attendees said they found the event via my post, which was the exact reason I made it, so that’s great! Thanks again to the guys at GlobalWide, and I hope we can work together in the future. Due to other projects, I haven’t really updated the blog recently design and development wise, but I did get the team to add a small feature that allows me to “stick” any post to the top of my blog feed indefinitely, which is useful. I’ll be looking at upgrading things slightly when the above changes are done with my companies, so I can update the portfolio page and such. Thanks again for all your kind messages and well wishes. We finally moved into our new home. We’ve spent the first few weeks in our house being “entertainers”. We’ve had all of our friends and family over hosting dinner parties, lunches and even a small party on the second night we were in! We’re absolutely loving being in the house, and I’m super exited to be finally receiving the delivery of my custom-built desk for the home office this week! By far, for me, the best part of the house is the garage conversion we’ve done. We converted the garage into what is now known as the “man cave”. 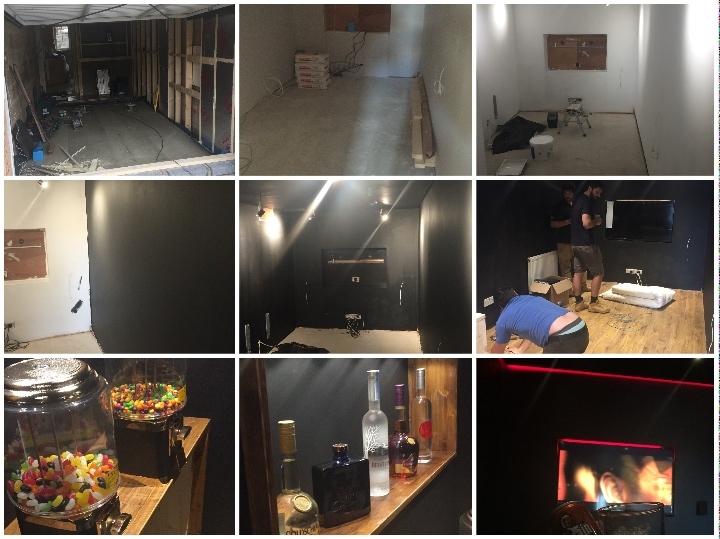 Check out some of the before and after images below. It contains a drop cinema ceiling, surround cinema sound, large 4k TV, sweet machines, mini bar and more! This was a little present to myself for the hard work I’ve put in and to remind myself of how much I’ve achieved in the past 3-4 years from quitting being a full-time chef to working to where I am now. I still have a LONG way to go though…..
Other highlights from August was my mate Nick and me watching legendary rapper Nas in concert in Bristol and a couple of the lads enjoying a great night out in Cardiff to celebrate the release of our favourite comedian Ricky Gervais’ film, David Brent: Life on the Road. Unfortunately, my fitness suffered, but I’m back on the clean eating and fitness regime now and determined to get strict again. What did you do in August? Please comment and interact below!